Fields of Blood: 40k - NZ Grand Tournament Hits 50!!!! Nice one! So will this be registered as an itc event? 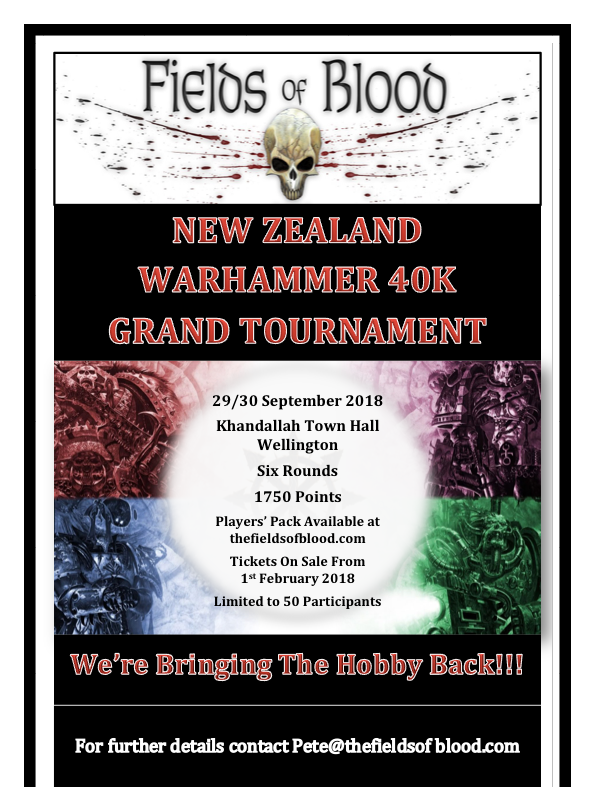 I've been thinking that nz events should get onboard with itc. Have you considered BCP app? Yes, it will be registered with ITC.